We got tips from the professional organizers behind The Home Edit. We're officially two weeks into 2019, which means it's a great time to evaluate how well we're keeping up with the goals we made at the end of last year. If you haven't been able to check "get organized" off your to-do list, you're in luck. Clea Shearer and Joanna Teplin, founders of the popular organization company The Home Edit, stopped by the show on Monday with tips to help declutter every space in your home. Read on for their recommendations and for even more home inspiration, you can pre-order their new guide to all things organization. If you follow their social media accounts, you know that tidy pantries and kitchens are what Shearer and Teplin do best. 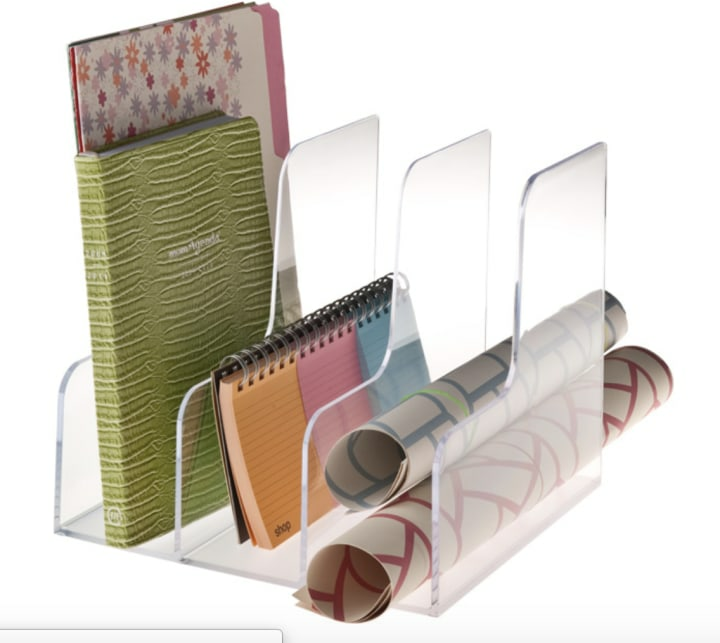 Here are some of the organizers they use to work their decluttering magic. Similar available at Amazon and Wayfair. 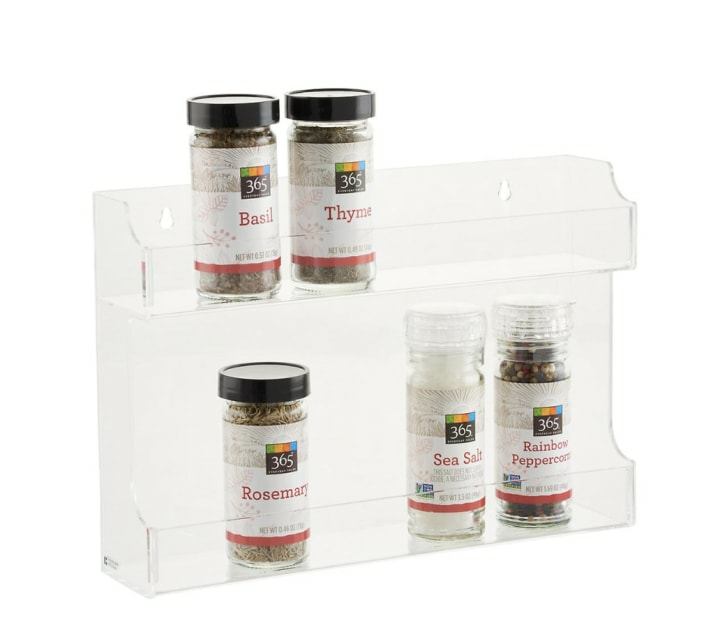 The ladies recommended installing a spice rack like this one on the inside of a cabinet wall. It creates storage space where none existed before and frees up shelf space for other items. Also available in other sizes from Bed Bath & Beyond. 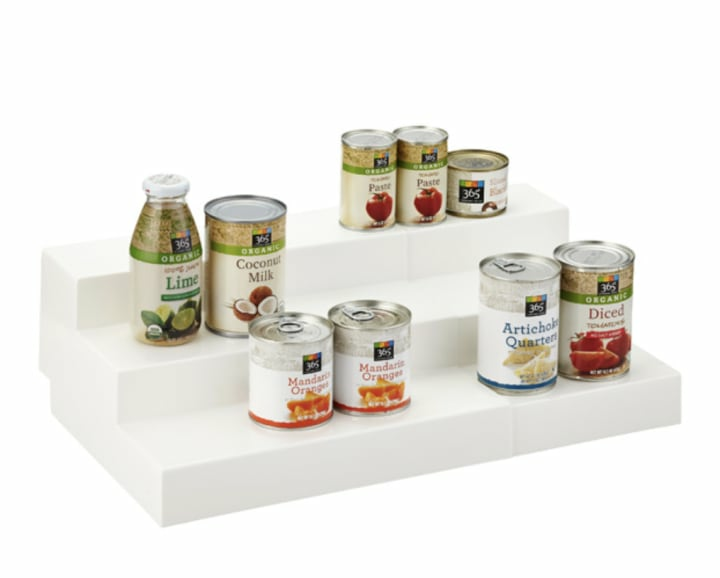 Take advantage of vertical space with an expandable shelf like this one. It helps you better see the items you've stashed in the back of a cabinet and optimizes the space. Available in a set of 5 from The Container Store. Drawers can be great for storing so much more than just utensils and other "junk." Shearer and Teplin suggest setting up drawers as stations for snacks or breakfast, organized into sections for things like coffee pods, oatmeal packs and granola bars. Also available from Kohl's and available as individual containers from Amazon. 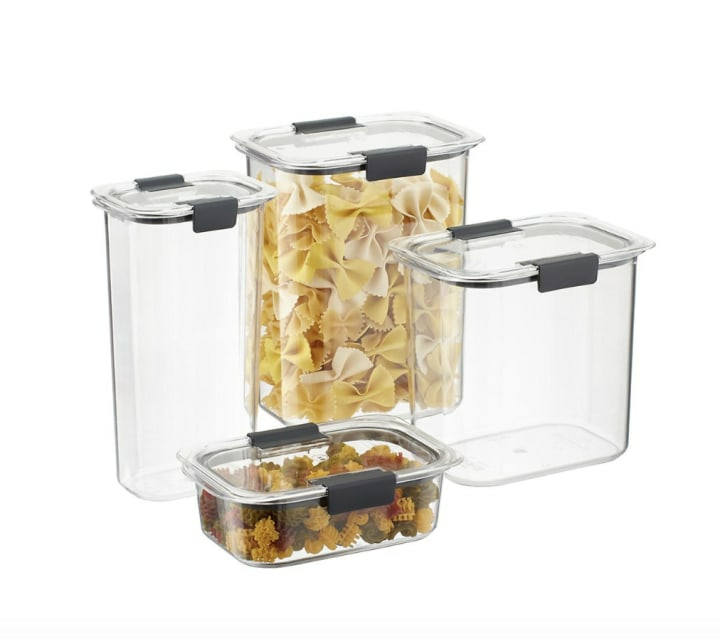 When using clear containers like these to store food, Shearer and Teplin recommend cutting out the expiration date from the original packaging and taping it to the back of the canister to keep track of each item's freshness. Also available from Target and The Container Store. 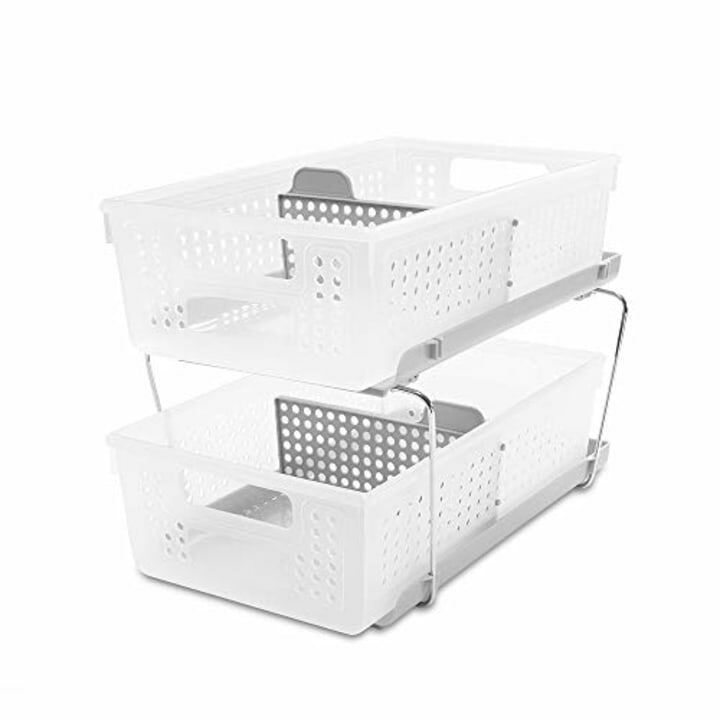 Shearer and Teplin recommend a double decker organizer like this one to wrangle cleaning supplies under the kitchen sink. As we keep collecting clothes and accessories, the closet can easily become the hardest space to declutter in any home. Shearer and Teplin have some easy tools to help store some of the smaller items like ties and scarves. 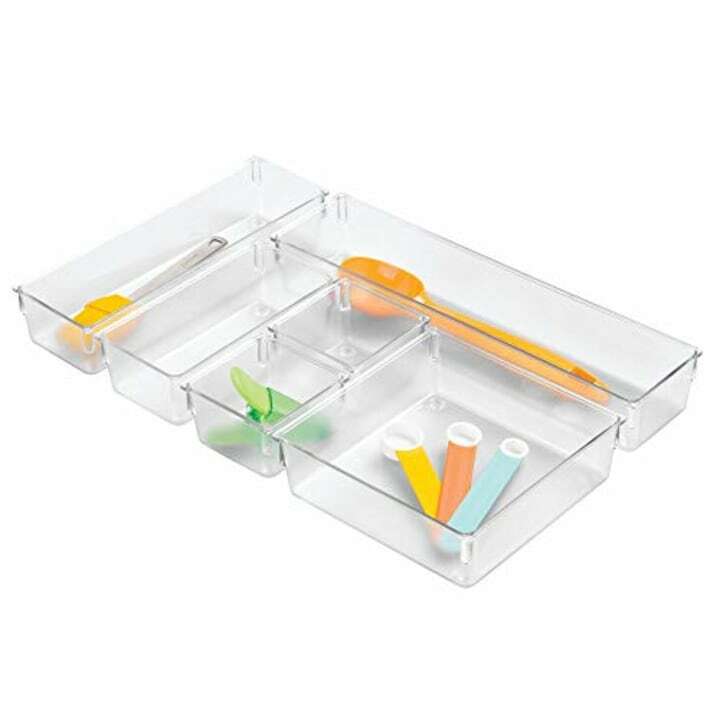 To store awkwardly shaped items like handbags and clutches, Shearer and Teplin use magazine sorters like these clear plastic options. They keep accessories standing upright on shelves rather than piled up on top of each other. Also available at HSN. Similar available from Walmart and Amazon. 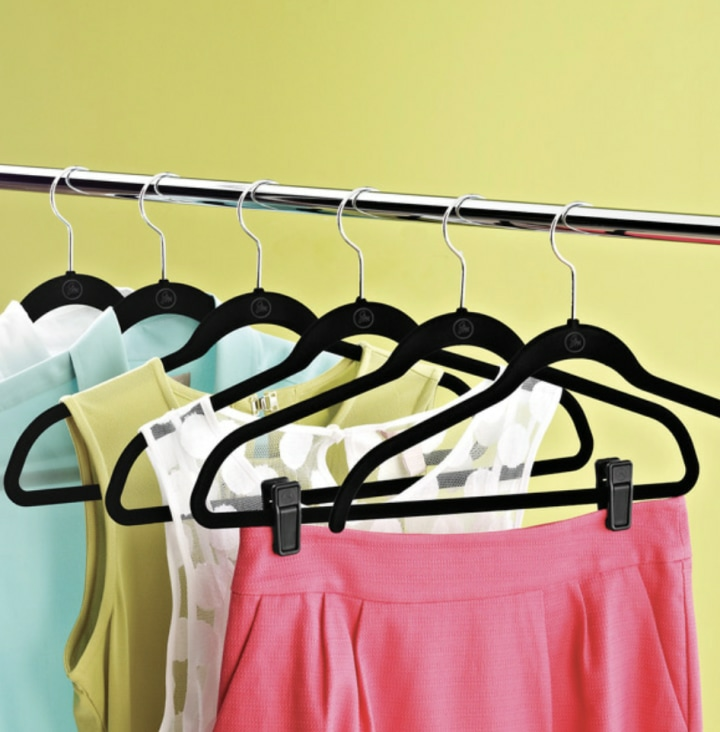 Shearer and Teplin liked these slim velvet hangers for hanging clothing, and recommend specialized hangers like purse hangers, tie hangers and blanket hangers for handling other items. We all have sentimental objects that seem difficult to toss. Shearer and Teplin get it! 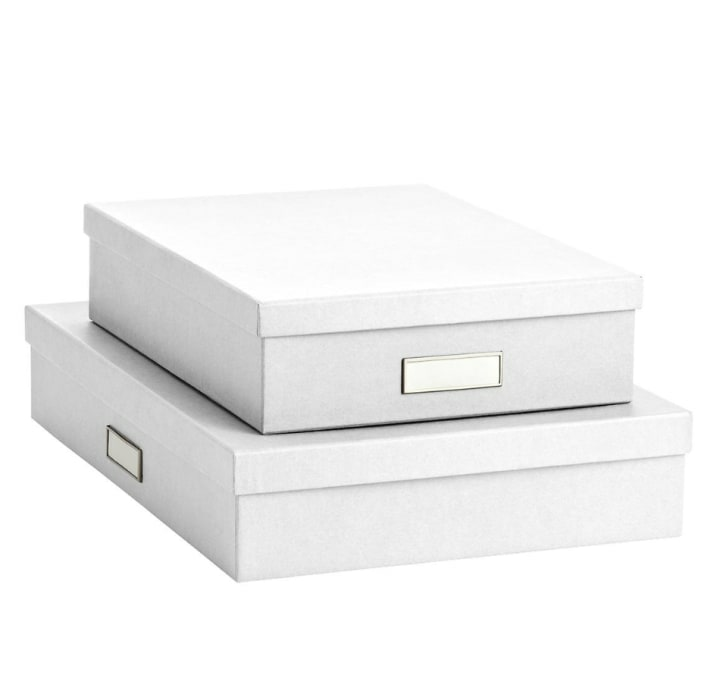 Instead of purging items that hold meaning, store them in nice boxes like these and place them on the top shelf of a closet to pull down and enjoy from time to time. Similar available from Buy Buy Baby. 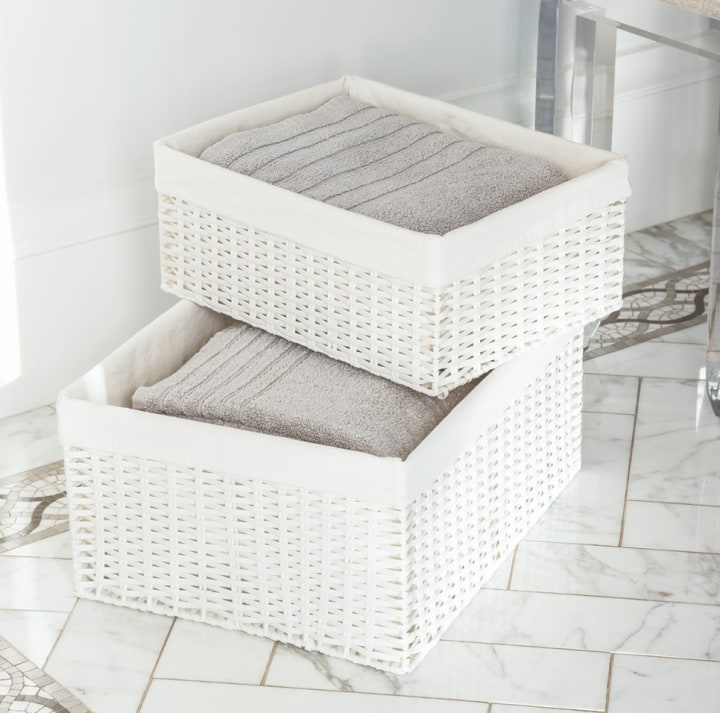 Shearer and Teplin recommend using bins like these to store loose items like scarves. Instead of folding them, they also suggest twisting them up into a neat little bun that you can spot more easily. When it comes to the playroom, it can sometimes seem like a lost cause. But Shearer and Teplin came up with some simple solutions that even the kids will be able to keep tidy. 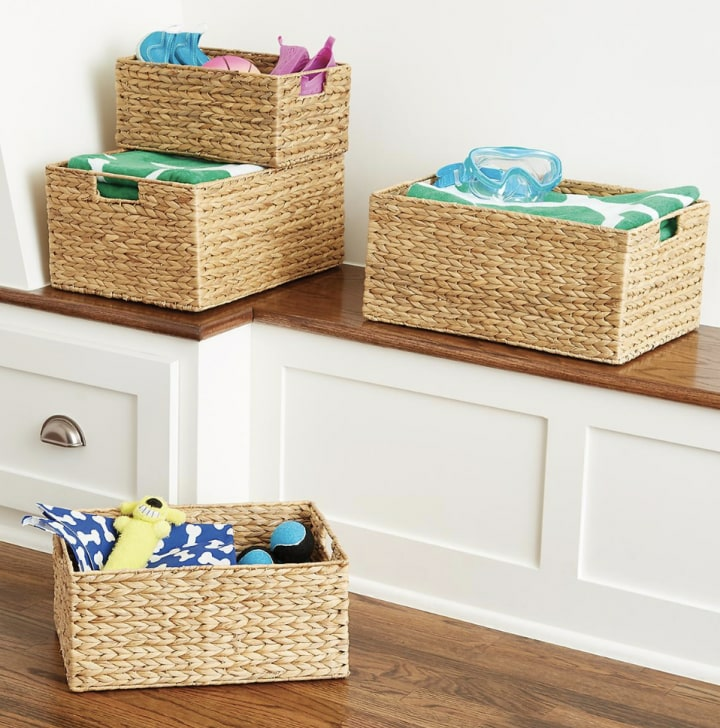 They suggest organizing items by color so that the little ones will always know where find what they're looking for and put it away when they're done playing. 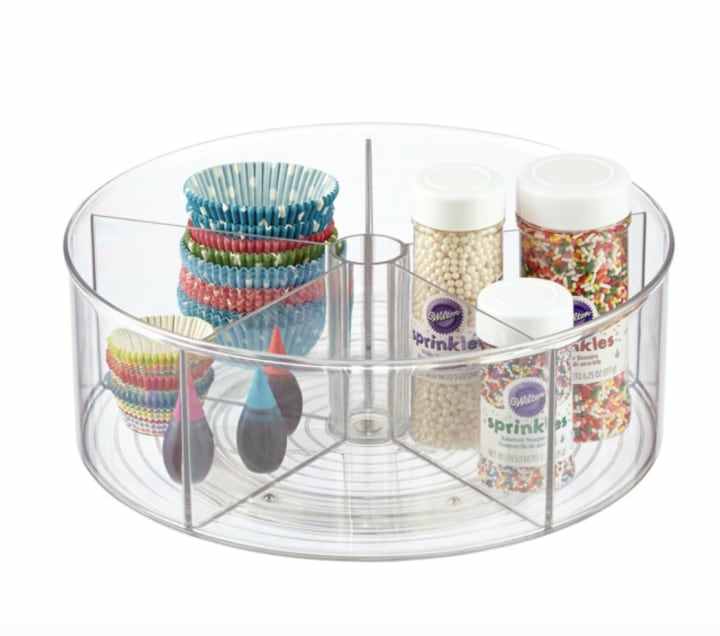 Shearer and Teplin think these clear turntable organizers are great to corral things like markers and crayons. 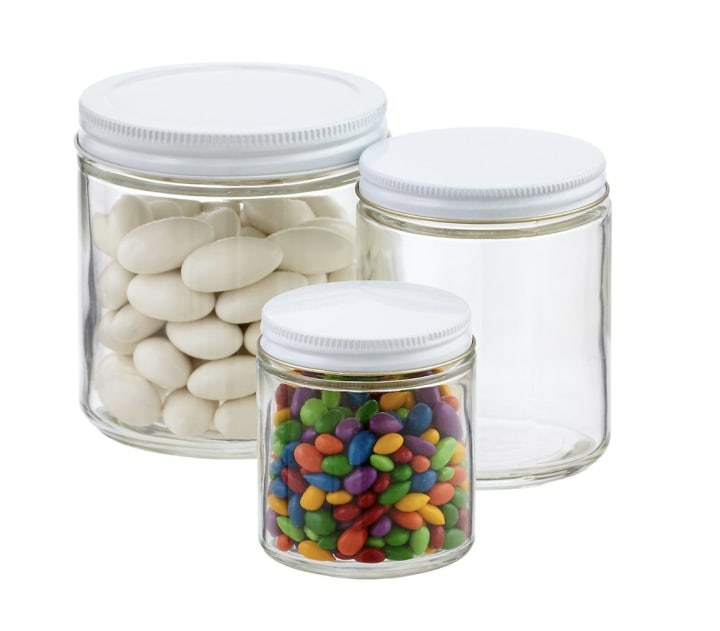 They also recommend sticking a few jars like this into the lazy Susan organizer to even further divide and organize art supplies. Also available at The Container Store. 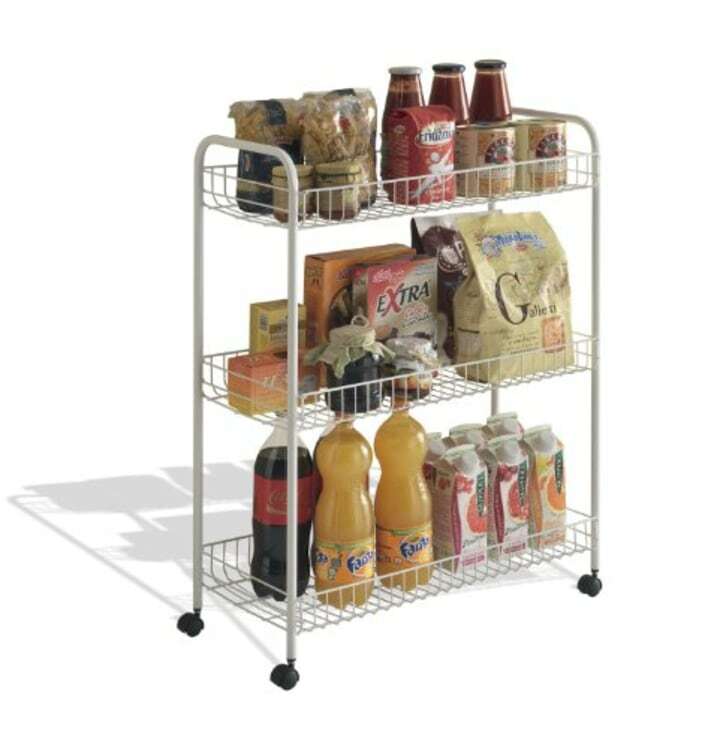 If your kids like working on even bigger art projects, Shearer and Teplin suggest getting a metal cart like this one and designating it as the "art cart." 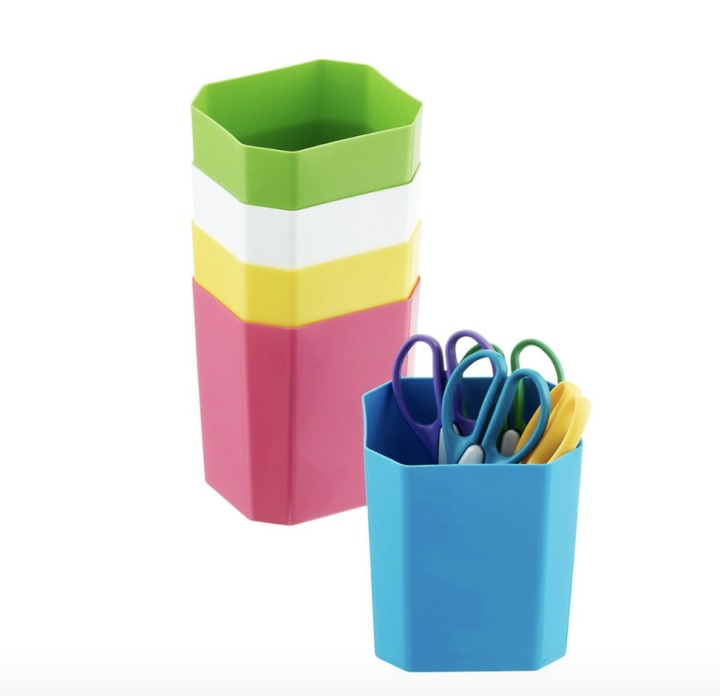 It can fit paper, markers, paint and everything in between. They also use these colored organizers to keep supplies in place on the "art cart." Similar available from Wayfair and Bed Bath & Beyond. 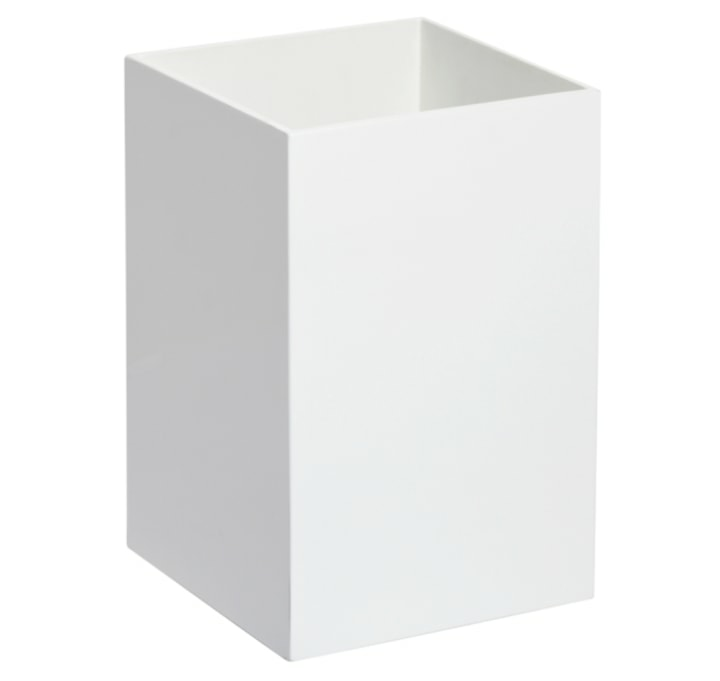 Trash cans like these are a stylish way to store awkward rolls of paper or projects, according to Shearer and Teplin. Shearer and Teplin suggest using boxes like this to store toys and gifts that you want to keep out of reach until a rainy day. "It's like the toy store at home," they said. "And your kids won't know the difference." Sounds like a win-win!